24/7 sewage backuo Connecticut crew, certified, fast and affordable! Plumbing: it has been around since the Roman times. Of course today’s plumbing system is much more intricate and it requires investing the right kind of care in order to avoid sewage backflow problems and the need to call an emergency water damage restoration specialist. Savvy homeowners will know how to spot and remediate most plumbing problems before they become major issues and require a licensed restoration damage Connecticut team to step in. However, in some cases even the smartest homeowners may miss some simple cues due to their mind being heavily occupied with work-related problems, financial strain or parenting challenges—at the end of the day we are all human, we all have our priorities and in times of stress household maintenance can sometimes take the backseat to more pressing concerns. This article will offer some useful tips that the busy homeowner can keep on the back of his mind in regards to maintaining a healthy toilet and plumbing system. 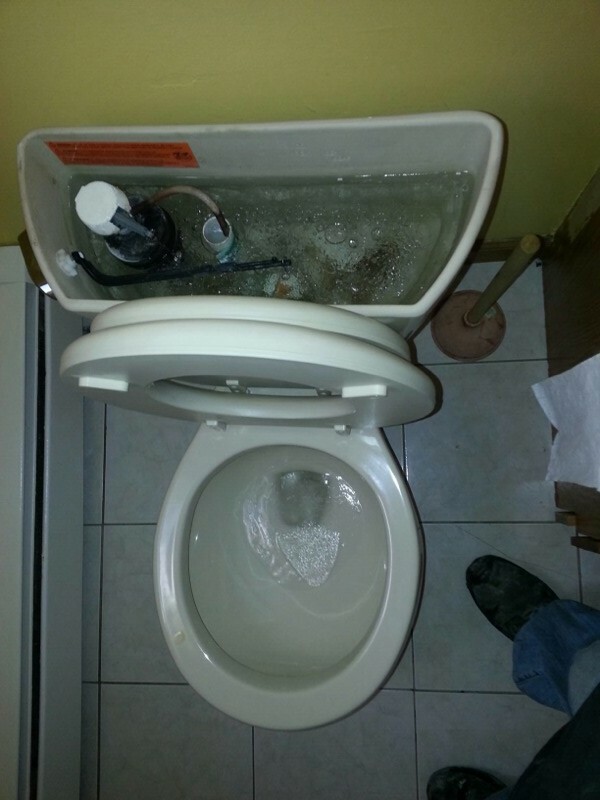 When it comes to toilet care, the littlest things can sometimes lead to bigger catastrophes. If you notice that your toilet rocks off its foundation, is leaking at the base, or drips these are signs that your plumbing needs immediate attention. You will want to address these problems right away. Not only is this unsanitary, but failure to fix a leaking toilet or pipe can result in your need for licensed mold removal services because mold can easily breed in damp areas where leaks have occurred over time. If your toilet is wobbly you can almost always fix the problem with some toilet shims, caulking and a wet sponge. Just first be sure there is no water leaking at the base—if it seems to be bubbling up you may already have a bigger problem on your hands and it would be wise to call a professional that offers a free inspection. Just because you know what items can be safely flushed down the toilet doesn’t mean that other family members do, especially kids. According to Business Wire the six things you should never flush down the toilet include disposable diapers, tampons and sanitary napkins, cotton balls, paper towels, bathroom wipes or moist towelettes, and oil or grease. Not only can flushing these items cause expensive problems in your personal sewer line, they can also cause major blockage complications in your local sewer system affecting hundreds of homes. Just remember that only plumbing-graded tissue paper can be safely flushed down the toilet. Once the entire family is on board with this golden toilet rule you can help protect your plumbing’s integrity and avoid suffering from a blown thrown!